So is this an endorsement from the Idaho Steelheads? Not quite; Balukoff is part owner of the Steelheads. Here’s the real question: Now that the Steelheads are featured so prominently in a Balukoff ad, will Gov. 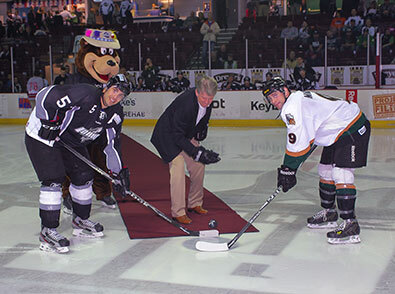 Butch Otter be invited back to drop the puck?